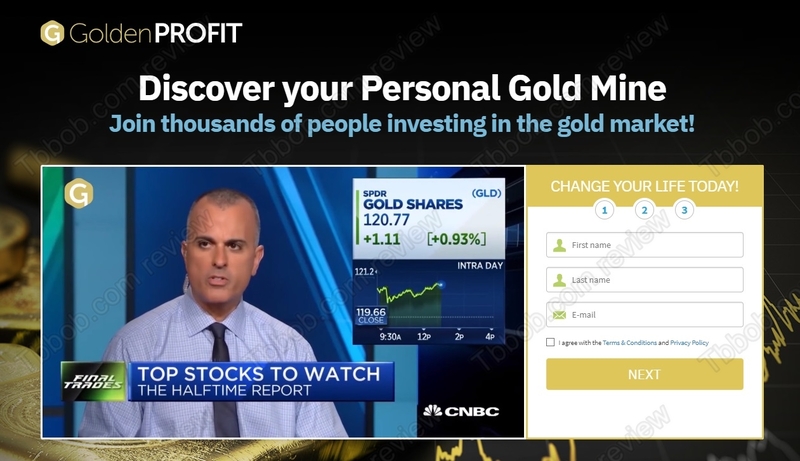 Golden Profit claims that you should start investing into gold because it can be your personal gold mine. They try to make you believe that the price of gold is rising and will continue to do so, therefore you will make money with it. The truth is that Golden Profit is a scam. In fact, it is a clone of the Cannabis Craze we have just reviewed, the website is the same, the narrative is the same, only the asset changes, instead of weed your are supposed to buy gold. This alone is a proof that we are dealing with a scam. The big problem of Golden Profits is that they try to persuade you to invest in gold with false information. First of all, making money in investing has never been easy. Secondly, the price of gold is not rising, in fact it is going sideways since 2013. See our picture. Nobody knows what the price of gold is going to do in the future. It might go up, down or sideways. There is no easy money in gold. Golden Profits admit that they are telling you fairy tales. You just have to look at the bottom of their web page to see that everything is fictional. This is a common scam trick, they tell you lies and the smallest text on the webpage admits that everything is a lie. Because they know a lot of people will not see that text. The aim of Golden Profits is to make you sign up and deposit money with an unregulated broker called Lucro Trade. We hear a lot of complaints about LucroTrade. Once you deposit, they will never let you withdraw anything, they will just ask for more deposits. That’s how they get your money. Golden Profits is an ordinary scam, making money with gold is not easy nor fast. Stay away from them. If you want to try financial trading to make money, start on a free demo account with regulated broker to see if it can work for you. Remember that in trading you can make, but also lose money, so be careful.